Hi everyone! I'm Liz from Polka Dot Firsties and I'm here to share how I organizing different themes throughout the school year. 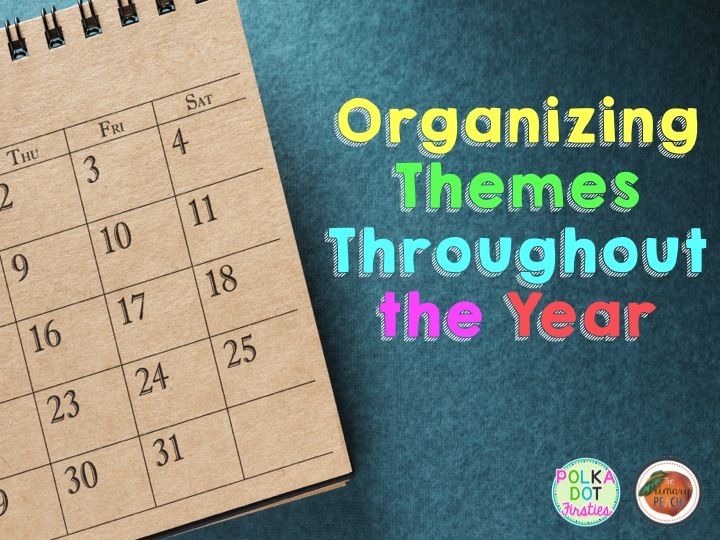 When I first started teaching, I didn't do any themes throughout the year. I was there to teach the curriculum! Those poor babies, I probably was so not fun! ;) Luckily they've all made it to high school by now. 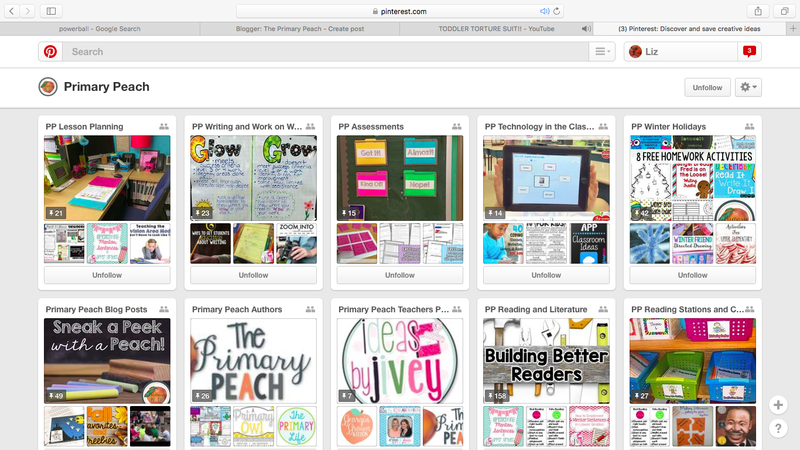 Check out our Primary Peach boards! Soon I was quickly overwhelmed with so many different ideas! My students were way more engaged in lessons. I would jump around from bats to spiders to pumpkins and back to spiders and then more pumpkins, etc. in October. I keep finding more and more....but I was running out of time and space! First I switched to themed boards on my Pinterest instead of monthly ideas. It helped me be able to go back to find the resources I needed quickly. 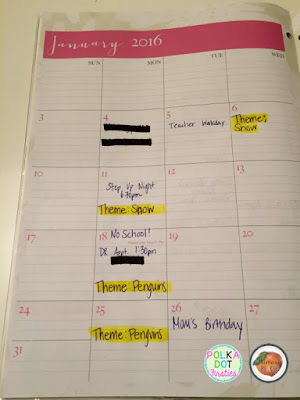 Every month, I use my old school day planner to plan different themed weeks. Here's a quick snapshot of January's calendar. 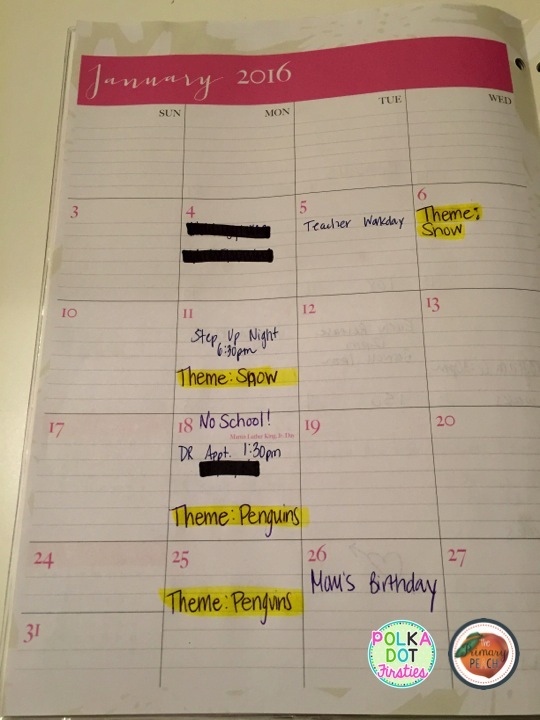 Once I've organized my weekly themes, it helps me focus on pulling resources for that specific theme. I hope this tip helps you manage all of the wonderful teaching ideas out there! 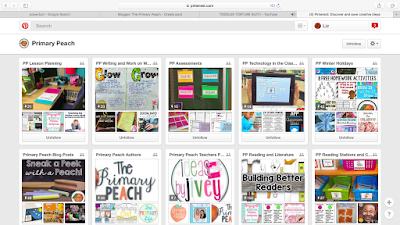 Blogging, TpT, and Pinterest have really changed the way I teach for the better! 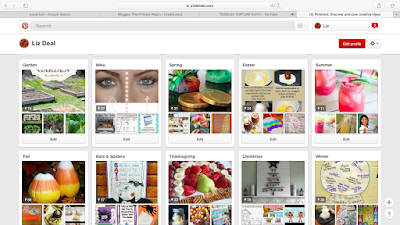 Be sure to come back tomorrow for more organizational ideas!